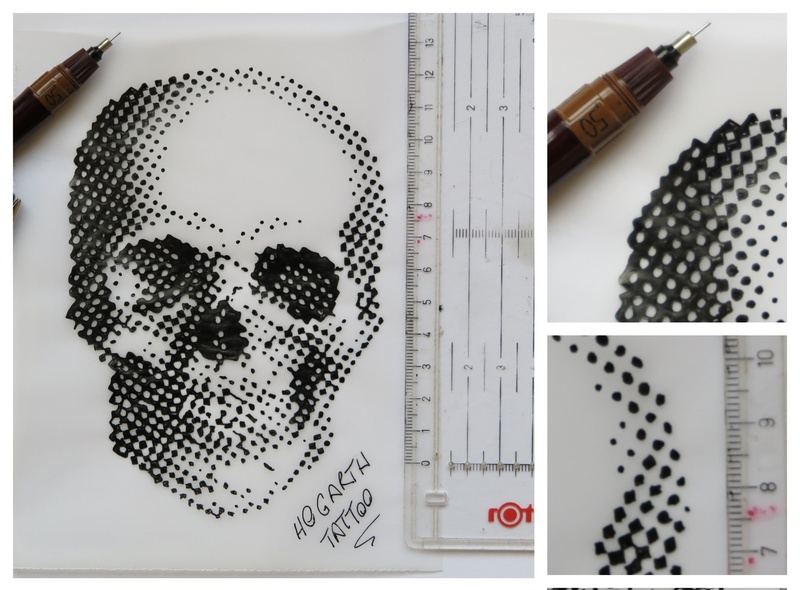 Dot Shaded Skull Tattoo Drawing. 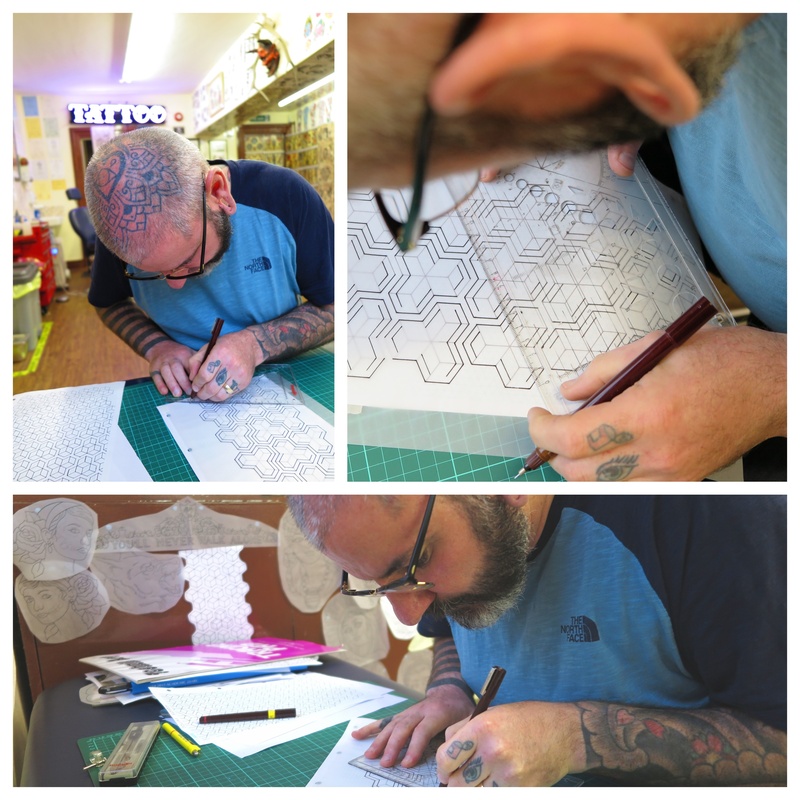 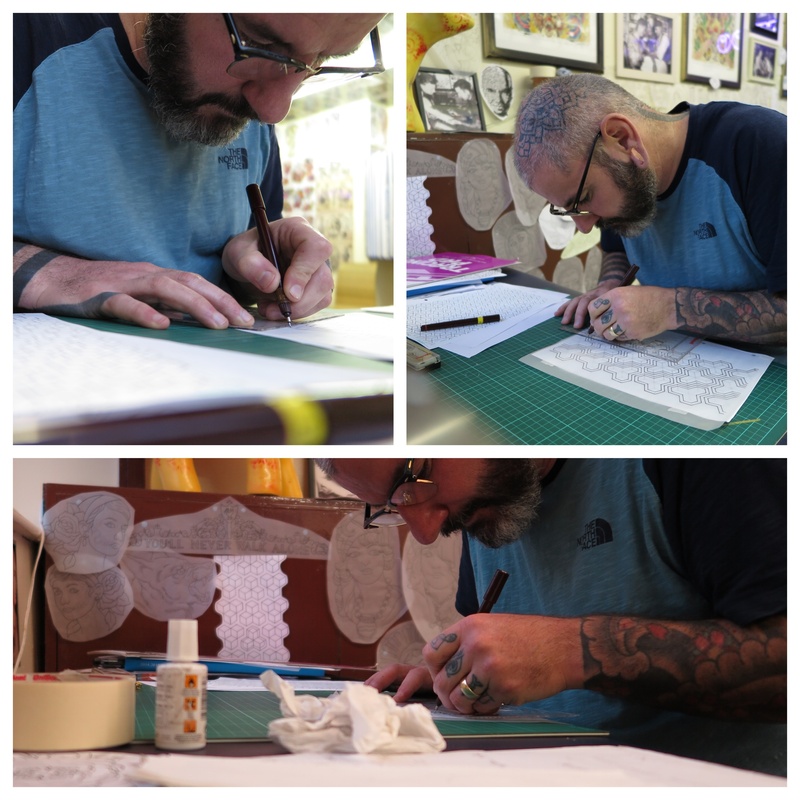 As long as there are Rotring pens and tracing paper my brain has endless things to occupy it. 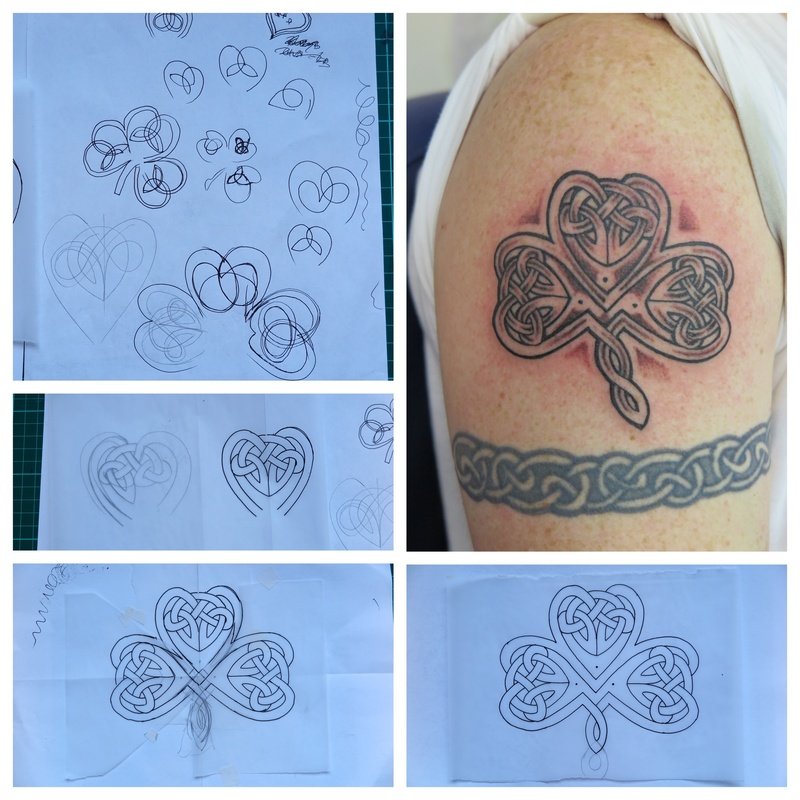 My client wanted a Celtic Shamrock and yes, I could have copied one off the web, but I wasn’t happy with them. 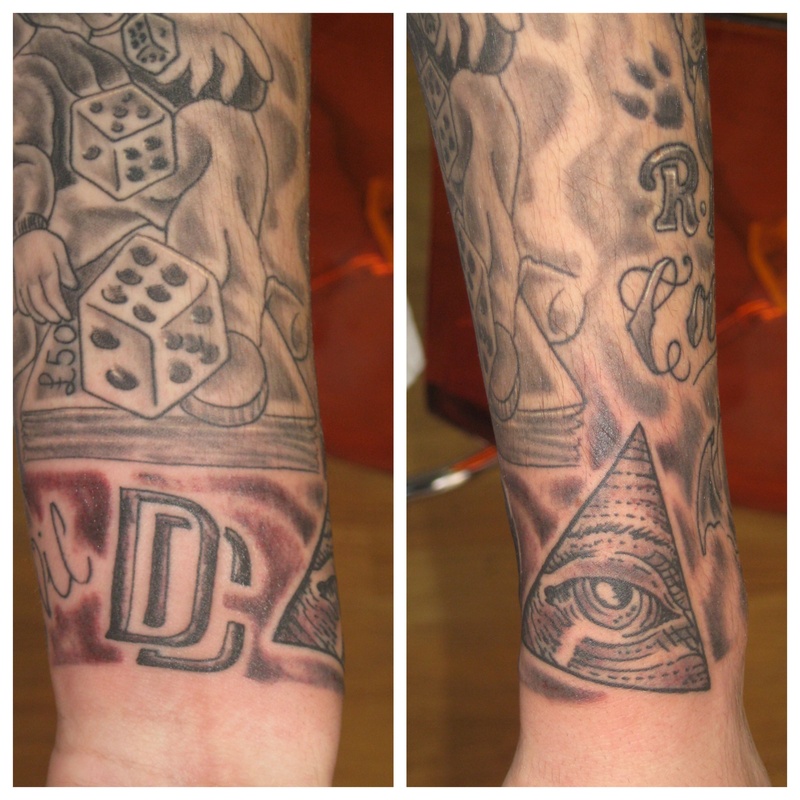 So here’s what I drew up from scratch. 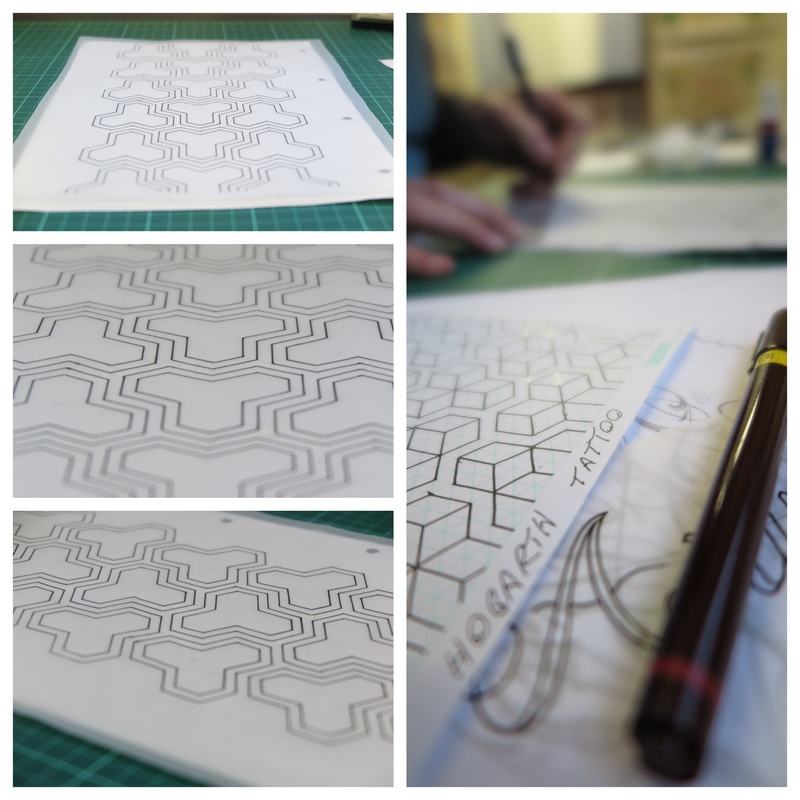 It wasn’t easy and took a while to draw. 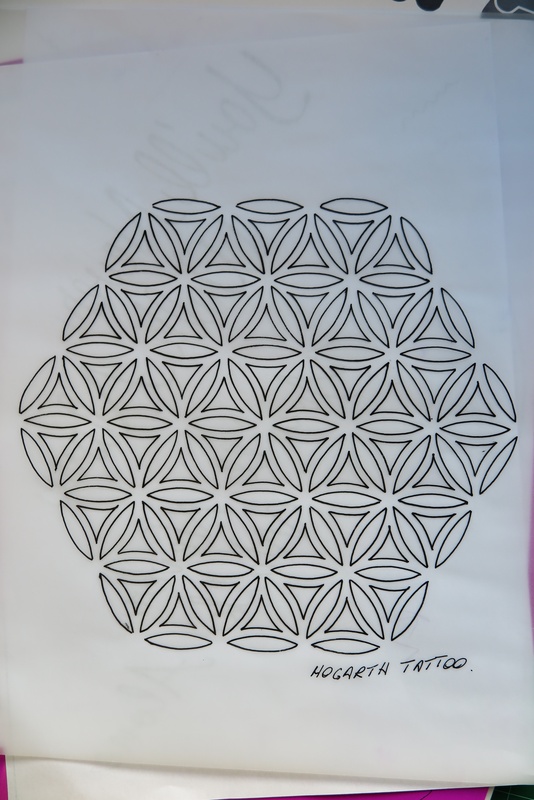 Flower Of Life Tattoo Drawing. 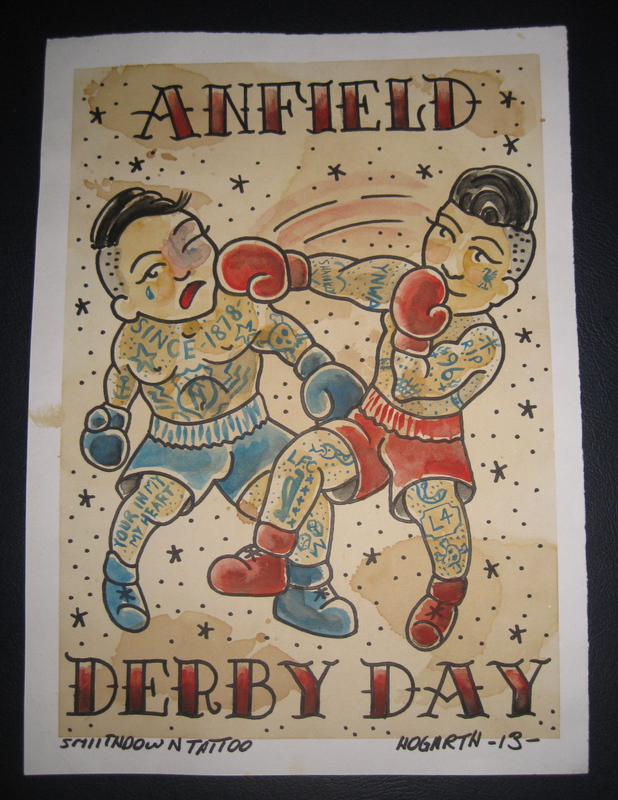 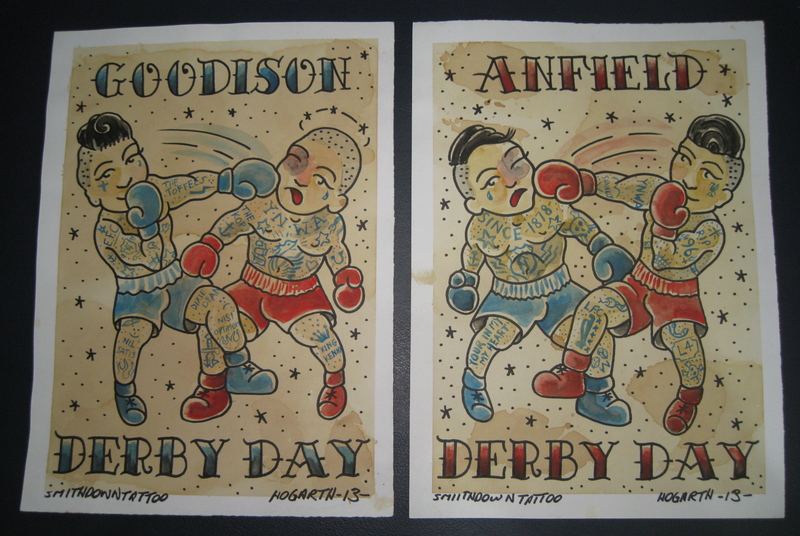 Liverpool Everton Derby Tattoo Painting.